Ali Campbell has one of the UK’s most distinctive and recognisable voices. As lead singer with the world-renowned group UB40, Ali Campbell has sold over 60 million records worldwide, toured across the globe, notched up four number No. 1 world-wide singles, over 40 Top 40 UK singles, released 24 studio albums and received an Ivor Novello Award for International Achievement. A whole generation has grown up listening to Ali’s infectious vocals on classics like ‘One in Ten’ ‘Red Red Wine’, ‘Don’t Break My Heart’ and ‘Can’t Help Falling In Love’. In October 2007 , Ali released a solo album , Running Free , featuring many guest artists including , amongst others, Smokey Robinson , Mick Hucknall and Sly and Robbie the album was a success and went top 10 in the UK charts and attained gold status. In January 2008 , Ali announced his departure from UB40, after 28 years with the band, due to management and business disputes . Following Ali’s departure , Mickey Virtue , the keyboard player from UB40 , also resigned for the same reasons and is part of Ali’s new band. Over the last 18 months , Ali and the band have toured across the world in countries ranging from Australia to Europe and Africa to the Uk . 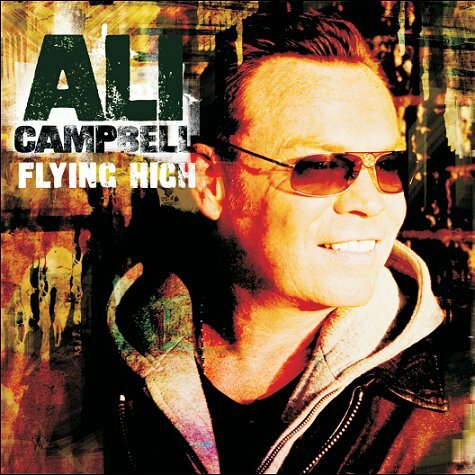 In June 2009 , Ali released his third solo album Flying High , which once again achieved success , hitting the top 20 in the UK charts and receiving the best critical reviews of his career to date . Ali is currently touring with his new band and continues, to thrill audiences world wide , performing the classic hits , he is so well known for , like Red Red Wine and Kingston Town, together with some new songs from his latest solo albums. Having had so much success with his last 2 solo albums, Ali is now preparing his next solo album release, ‘Great British Songs’ , once again recorded with Sly and Robbie and accompanied by a dvd documentary filmed during the recording of the album – This will be Ali’s fourth solo album and will be released in October 2010. Whether as part of UB40 in the past, or currently today , in his solo career , Ali has always stayed true to his love of reggae and its ongoing capacity for innovation, the music that first inspired him and continues to do so, to this day.